Why is Pied Piper Called Pied Piper? This is the first fictional brand story I’ve covered on Rewind & Capture. And it’s the first brand where I got to watch countless hours of TV as research. The show does a remarkable job of mixing entertainment with tech startup education. However, if you haven’t worked for a tech startup, it’s unclear where the education lies. That being said, in this article I’ll not only explain the inspiration behind the brand name Pied Piper, but I’ll also reveal five very real startup frustrations presented in season 1. 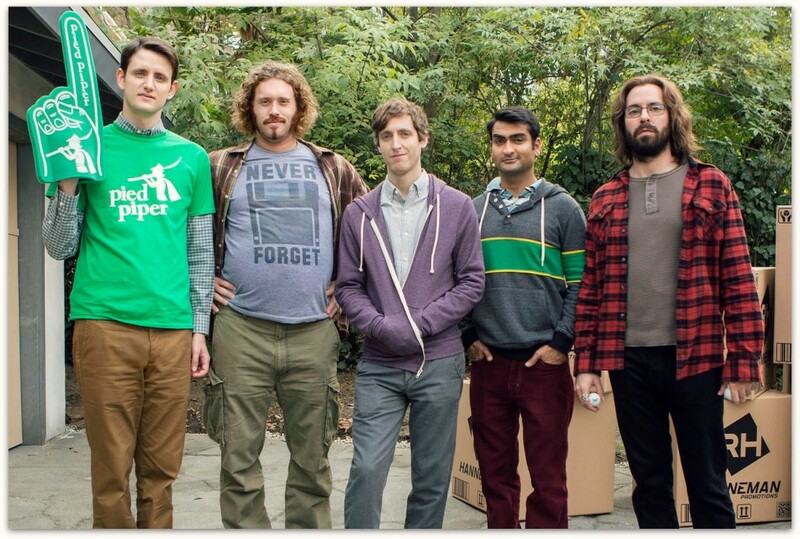 Pied Piper is the name of the tech startup in the HBO series Silicon Valley. The company is CEO’d by Richard Hendrix (Thomas Middleditch), a shy, reclusive programmer with few business skills. He’s uncomfortably awkward in social settings, vomits under pressure and struggles to explain how things work to those with fewer brain cells. Other team members include Jared Dunn (COO), Erlich Bachman (CEO), Dinesh Chugtai (undetermined) and Bertram Gilfoyle (Chief Architect). The team is headquartered and incubated in Erlich Bachman’s house. Prior to founding Pied Piper, Richard worked for a large technology titan called Hooli. Interestingly, the producers selected a brand name with double o’s, often known as good luck in the tech branding world (Facebook, Google, Yahoo.) Struggling to find his place in the corporate world, Richard shares his side project with a couple other programmers at Hooli. Immediately they assume the worst, fail to give feedback and start laughing at him. Only later do they realize the compression algorithm Richard was developing was beyond impressive and could be worth billions. Shocked, panicked and even confused behind the technical architecture, the two employees share the discovery with Hooli CEO, Gavin Belson. Until this validation, not even Richard was sure the value of his code – he called it… Pied Piper. The show premiered on April 6, 2014 and is co-produced by Mike Judge – the brains behind Office Space, King of the Hill and Beavis and Butthead. Almost unbelievable, but Judge didn’t enter the film businesses until after his programming days. After graduating from the University of California, San Diego (UCSD) with a degree in physics, he worked for a company called Support Systems Associates Inc as a programmer working on F-18 fighter planes. In 1987 he packed his bags and accepted a position with Parallax Graphics, a startup located in Santa Monica. This experience was short lived. After just three month, fed up with his colleagues and lack of culture, Judge parted ways. However, it would later be this memory that Judge would turn into a brilliant TV series called Silicon Valley. Why is it called Pied Piper? Richard originally was working on a music site that allowed songwriters and musicans to search to see if their songs matched any existing music to avoid plagiarism. Initially, the idea only focused on compressing music files, but later branched out to many types of files. 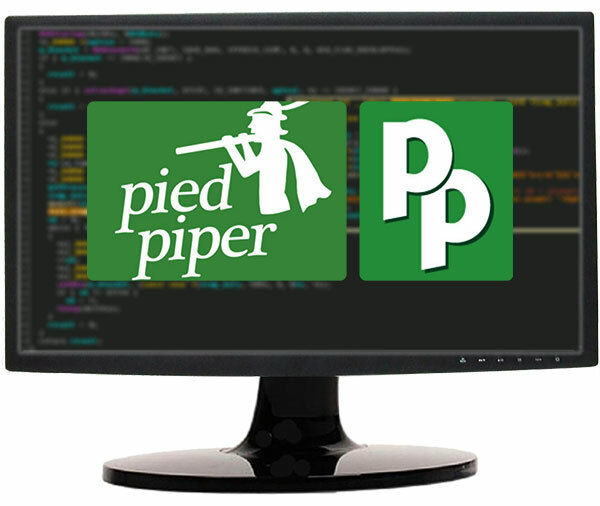 According to their site, “Pied Piper is a universal compression engine that stacks on any file, audio, data, video, or image no matter the size. It takes all your files and makes them smaller when you need a little help!” The name is derived from the expression “who pays the piper gets to call the tune” or more commonly known as “pay the piper.” After ordering t-shirts, Richard realizes the name Pied Piper is already trademarked by a sprinkler company in Gilroy, California. While Erlich goes on his own search for a new name, the rest of the team hits the drawing board. The replacement names they considered were SMLLR, SMLR (even smaller), Dwarfism 2.0 and Infitra. Similar to other founders, Richard was obsessed with the original name, Pied Piper. In a nutshell, Richard negotiates the trademark for $1,000 and retains the name. Luckily, the t-shirts weren’t a wasted expense after all. It’s not uncommon for companies to rebrand or change their logos. Often it’s part of a bigger internal strategy for the company. For example, when Marissa Mayer took over as CEO of Yahoo!, she elected to crowdsource the company’s new logo. This stunt not only created many favorable designs, but it also generated a lot of buzz and awareness about the company – even big brands enjoy free media attention. Social networks, Quora, iPhones, Google and other technology platforms make gathering feedback instant. The answer is almost always just a click away. Unless you have zero tolerance for patience, this simple feedback system makes it almost impossible to pick a logo that comes off as offensive. Unfortunately, for Pied Piper, the guy in the logo above didn’t look like he was playing the fiddler. Considering that 9 out of 10 startups fail, entrepreneurs can’t afford to be over focused on the their original idea. It may seem counterintuitive, but seeing the forest, not the trees increases the probability of success. With limited resources and capital, it’s important for founders to mitigate risk by gaging demand, requesting feedback, and solving early assumptions. “The fundamental activity of a startup is to turn ideas into products, measure how customers respond, and then learn whether to pivot or persevere. All successful startup processes should be geared to accelerate that feedback loop,” according to Eric Ries, author of The Lean Startup. Kevin Systrom, the founder and CEO of Instagram originally set out to build a check-in app called Burbn, only to later realize that the app was too complicated to use. After deconstructing the app, the only features that remained were photos, comments and likes – they were the only features users were using. They took a step back and created a photo-centric app with an optional check-in. They reversed the idea and called it Instagram. In the show, Richard’s doctor constantly reminds him that he should have taken the $10 million initially offered to him from Gavin Belson and walked away. If you’re insane enough to battle the odds of failure, you ought to be sure you have a clear understanding of why you set out to build the company in the first place. What was your inspiration – wealth? Empowerment? Knowledge? To be the boss? Whatever it is, keep it close. Not long ago, SnapChat CEO, Evan Spiegel turned down a $3B dollar offer from Facebook and a $5B offer from Google. Evan Spiegel told Forbes, “There are very few people in the world who get to build a business like this, I think trading that for some short-term gain isn’t very interesting.” Just recently, SnapChat received an invest from Alibaba at a $15 billion valuation. Like Spiegel, Richard wants to build a long term company and disrupt an industry. Is it already trademarked? Can people pronounce it? Is it easy to spell? Is it memorable? Is the brand name clear over the phone? Does it have a bad reputation in Google? 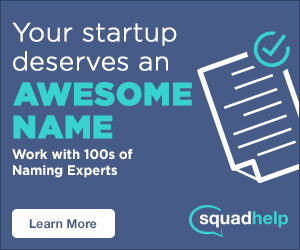 Is the domain even available? Are you creating a new word? What about a homonym? Are you going to subtly align your brand name with the problem you are aiming to solve? Before even brainstroming a brand name, read this eye-opening article by Richard Barton, founder of Zillow, Expedia and Glassdoor. Sometimes referred to as accelerators, startup incubators exist to help early stage startups grow and succeed. Often a small percentage of equity (~5%) is taken in return for office space, capital, networking, and mentorship. For first time founders, this exchange is well worth it. Some of the biggest brands have gone through incubators, including Airbnb, Hipmunk, reddit, Weebly, Stripe and many more. Before selecting an incubator, make sure you know what your biggest need is. Make sure you clearly understand what you get and what you have to give. Over the last five years, incubators have exploded onto the scene. Some of the common incubators are: Y Combinator, Techstars, WeWork, 9Mile Labs and even universities are getting some skin in the game. It’s hard enough finding great talent, it’s even harder firing your best friend. In the show, Richard faces the dilemna of firing his closest friend, “Big Head.” It’s not personal, he just lacks the skills to contribute to the team. If you were to start a company tomorrow, would you hire friends and jeopardize your relationship or would you avoid the idea completely? Here are 5 issues to consider before hiring your pals.